Brendan Ross Murray Taylor , achieved against New Zealand in October 2011. He was selected to play Twenty20 cricket for the Wellington cricket team as an overseas player in New Zealands HRV Twenty20 Cup in December 2011. Taylor was groomed by Iain Campbell, the father of Zimbabwean Test cricketer Alistair Campbell, at the Lilfordia primary school near Harare. During his teens, Taylor emerged as a regular choice for national age-group teams and played in two Under-19 World Cups. He made his first-class debut for Mashonaland A at the age of 15. The very next year, he shot to prominence by scoring 200 not out in the B Division of the Logan Cup. Strong domestic performances and a mass exodus of top-level players forced Taylor into the national team at the age of 18 against Sri Lanka in 2003–04. 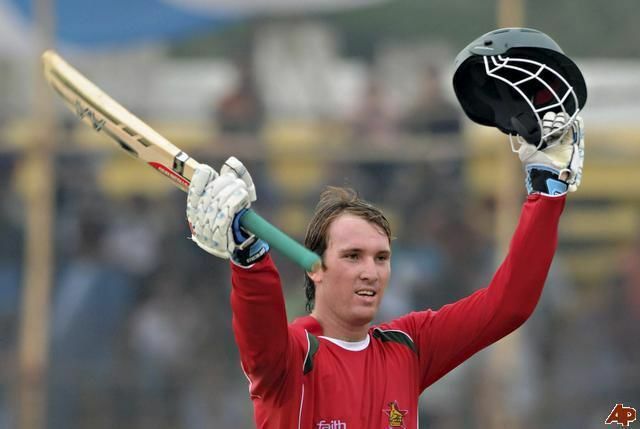 In July/August 2007, Taylor was re-selected for the Zimbabwe Select team against South Africa A, having not been available against India A. He scored just 15 runs (2 and 13) in the second first-class match, having been overlooked for the first game. With Tatenda Taibu back in the team, Taylor was no longer needed behind the stumps. In the ODI series against the full South Africa team, the entire Zimbabwe squad performed above themselves (including their highest ODI score against South Africa), but falling short on all 3 occasions. Taylor too had a good series, ending as the 5th highest run-scorer, with 105 runs at 35.00. Taylors first Twenty20 outing was vs Eagles, Sept 2006 and the second was versus Bangladesh, Dec 2006. 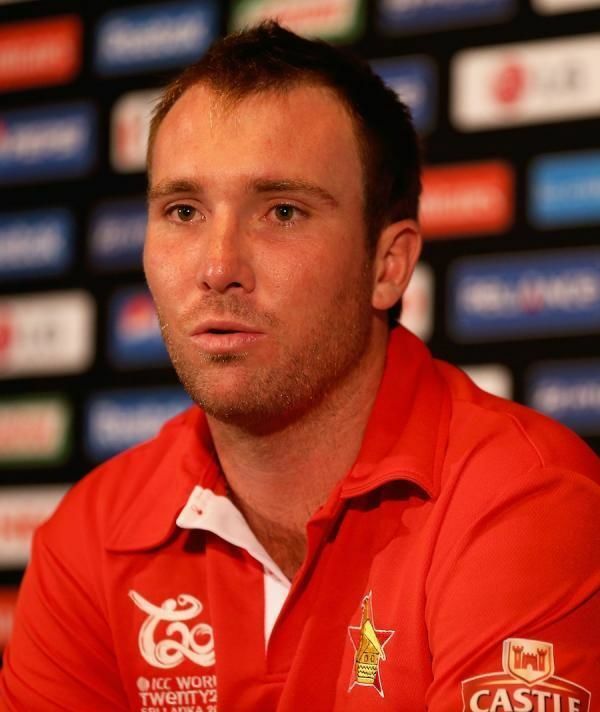 Taylor made his debut for Zimbabwe at a time when many of the countrys leading players rebelled against Zimbabwe Cricket (formally known as the Zimbabwean Cricket Union) and made themselves unavailable to represent the side. Consequently, to fill the gap, many young players were prematurely brought into the team, which weakened the side, especially at Test level. Taylor was one of the youngest and most promising in this lot. In 2006, despite not having signed a new contract, he was selected in the national team. Soon, he took over the wicketkeeping responsibilities as well following the temporary departure of Tatenda Taibu. He shot to international prominence after his 60 not out helped Zimbabwe achieve a five-wicket upset over Australia in the 2007 ICC World Twenty20. In the Test arena, Taylors performances were somewhat below what one would expect of a player at Test level. However, this was attributed to his young age and premature elevation to the national team. However, since Zimbabwes return to the Test circuit, Taylor has shown remarkable maturity, both as the sides leading batsman and captain. He scored two Test centuries and when he scored a century in the fourth innings of the Test match against New Zealand, on a fifth day pitch, (inclusive of 5 huge sixes), he became the second Zimbabwean after Arnott to score a fourth-innings century in a Test match. Taylor has announced that his team will continue to play aggressive, attacking test cricket which drew widespread praise from all quarters. He also scored two half-centuries, 71 against Bangladesh and 50 against New Zealand. Taylor has been playing in Zimbabwes domestic first-class competition, the Logan Cup, since 2001–02. His domestic one-day debut came for Mashonaland in 2003–04. In the domestic circuit he is one of the most reliable and successful batsman, and in 68 first-class matches, he already has 4,719 with a highest score of 217 and a batting average of 39.99. In List A cricket, he has played 184 matches, scoring 5,528 runs, with a personal best of 145*. His average in those matches are 33.30. In Twenty20 cricket, he has 1,307 in 47 matches at an average of 33.51.